Dr Dave Earl, Bsc MBChB MRCP FRCA FFICM, graduated from the University of Bristol and undertook his further training in London, the South West and Sydney. He is currently a Deputy Medical Director at Harrogate District Hospital, where he is also clinical lead for preoperative assessment. 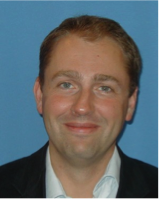 His specific interests include assessment and management of higher risk patients and anaesthesia for colorectal and orthopaedic surgery.